The Purple Cow - Where do Animals Live? A first stage 2-piece puzzle set. The objective of this 2-piece ?matching game? is to match a beautifully illustrated animal puzzle-piece with a corresponding piece showing the animal?s ‘home’. 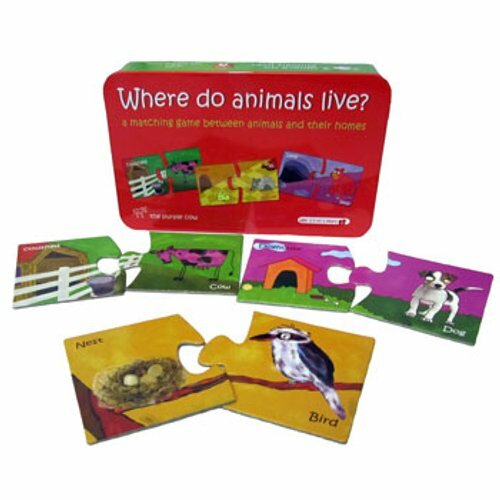 In addition to being an engaging tool for learning about animals and their environment, these 10 puzzles assists in development of fine motor skills and concentration skills. Suitable for Age: 18 Months and older.